The Wisconsin Historical Society (WHS) Library and Archives’ genealogy and history collections are national in scope, including records of people who lived or passed through its territory as well as throughout the U.S. Its collection of newspapers, journals, magazines, and union and guilds publications from around the country is only surpassed by the Library of Congress. The Society’s Draper collection of 491 volumes (ca. 1775-1815) concentrates on the area known as "Trans-Allegheny West," including the western Carolinas and Virginia, some portions of Georgia and Alabama, the entire Ohio River valley, and parts of the Mississippi River valley. Family historians will find material on Native American tribes, French-Canadians, Northern Europeans—primarily from Germany and Norway—African Americans, Asians, and Hispanics, all which called Wisconsin home. Records also cover the rise and diminution of miners, loggers, and railroad workers, and once held Confederate prisoners of war during the Civil War. Researchers also will discover records on Wisconsin’s northern neighbor Canada. In all, the WHS houses more than four million records and serves as the Wisconsin State Archives. The Wisconsin State Archives include state, county, and local government records. Land deeds, naturalization records, tax rolls, and court documents are just some of the original records that genealogists can access at the Archives. Family historians with ancestors from Germany will be especially interested in visiting the Max Kade Institute. It has a robust collection of German-American newspapers, letters, diaries, and church and business records. The Institute is also an excellent resource for locating historic German-language, European towns and villages. For genealogists with ancestors from Norway, Madison is home to the Norwegian American Genealogical Center & Naeseth Library. Its resources include emigration lists, Norwegian farm histories and topographical maps, printed histories, and files with information on obituaries, wedding and birth announcements, feature stories, and other events. Research consultants Rev. David McDonald, DMin, CG, and Patricia Walls Stamm, CG, CGLSM ; insure that your introduction to these institutions is both productive and enriching while conducting your personal research. Space is limited to only 30 individuals. 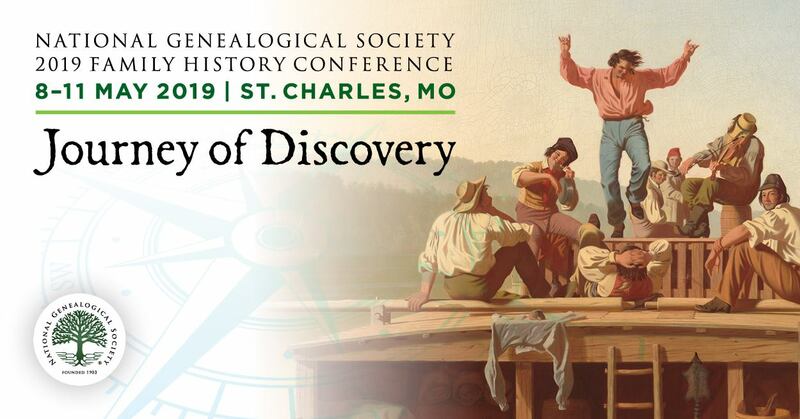 To make your reservation or to learn more, visit https://www.ngsgenealogy.org/cs/conferences_events/research_trips/wi_research_trip . FALLS CHURCH, VA, 8 FEBRUARY 2018—The National Genealogical Society (NGS) invites individuals who are researching their family history to sign up for one or more of its upcoming research trips. 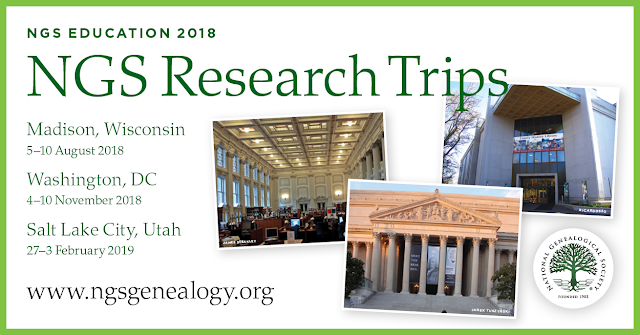 NGS genealogy scholars will introduce you to, and help guide your research at, renowned repositories in Madison, Wisconsin; Washington, D.C.; and Salt Lake City, Utah. The internationally recognized Family History Library in Salt Lake City, Utah, 27 January–3 February 2019. Learn from the experts how to search for documentation about your ancestors in these renowned institutions. Visit the NGS website at https://www.ngsgenealogy.org/cs/research_trips to learn more about each research trip. Individual trip package prices vary depending upon the room occupancy and National Genealogical Society member status. Transportation to the location is not included. Payment is required, in full, at the time of registration.